Try to stick with your routine – both the timing and the activities. If you usually have a nightly routine that includes a bath, book, song, or sip of water – make sure to keep it the same on vacation. Keeping your children’s routine the same will make bedtime a more soothing experience. Try to stick to your regular nap schedule. You might be out and about and nothing is worse than trying to nap a toddler at an amusement park – but do you best. If all else fails, it might be worth it to strap them in their car seat and drive around until they sleep. 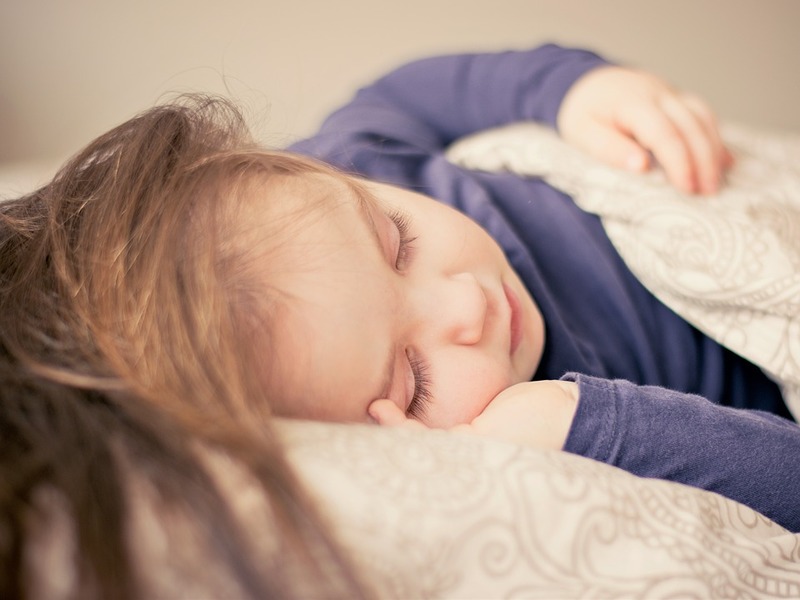 If they miss a nap, they will be overtired at bedtime, making falling asleep even harder. Remember to bring all their lovies, blankets, soothers, sound machines, and pacifiers. Try and recreate their regular sleep space as best you can when you are away from home. If they are nervous about being in an unfamiliar place and you are sharing a room with them, it might help to sit in the room with them until they fall asleep. Only do this is you’ll be there in the morning when they wake up so they aren’t expecting you to be there and find themselves alone. Talk it through with preschool-age children. Explain that taking rests will make playtime more fun. If all else fails and it is safe, pull your newly nocturnal children in bed with you. With newborns who will probably be in a pack and play, try traditional sleep training techniques for a good night’s rest.